Valentino Rossi has warned Dani Pedrosa not to expect Bridgestone tyres to instantly transform his fortunes as the Yamaha star expressed his surprise at the Spaniard’s shock switch. Rossi needed three months of winter testing and the early part of the season to fine-tune his factory Yamaha YZR-M1 to Bridgestone tyres, and said Pedrosa shouldn’t be banking on the Japanese rubber to be a miracle cure. 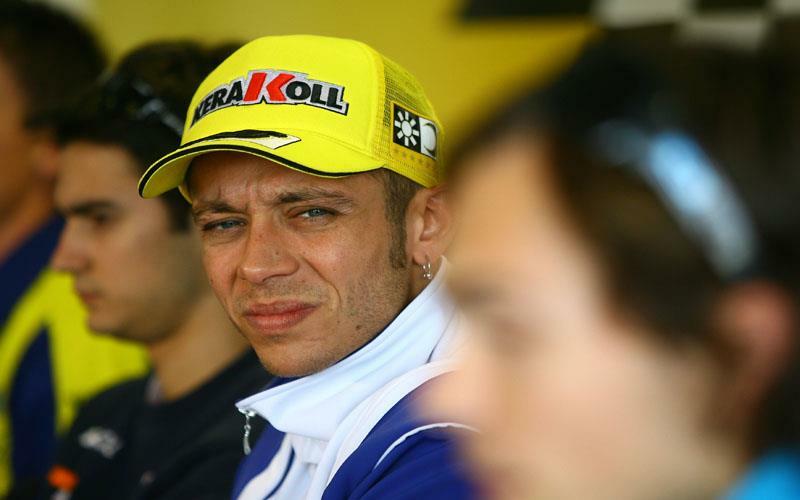 Rossi, who also orchestrated his own switch to Bridgestone after a torrid 2007 campaign with Michelin, said: “I was in exactly the same position last year but sincerely I didn’t think to try the tyre during the season. "The potential of Bridgestone is very high but it is not like you put a Bridgestone sticker on the bike and like magic you go faster. You have to work a lot and you have a lot of pressure because at he beginning my performance was not much faster than Michelin and people were questioning my decision.